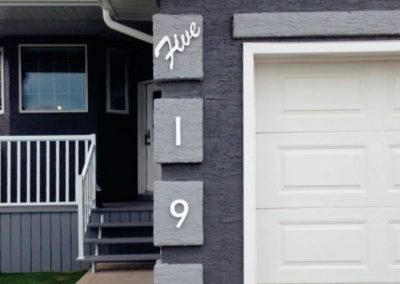 Easy Digits | Custom House Numbers | Free Shipping across Canada! 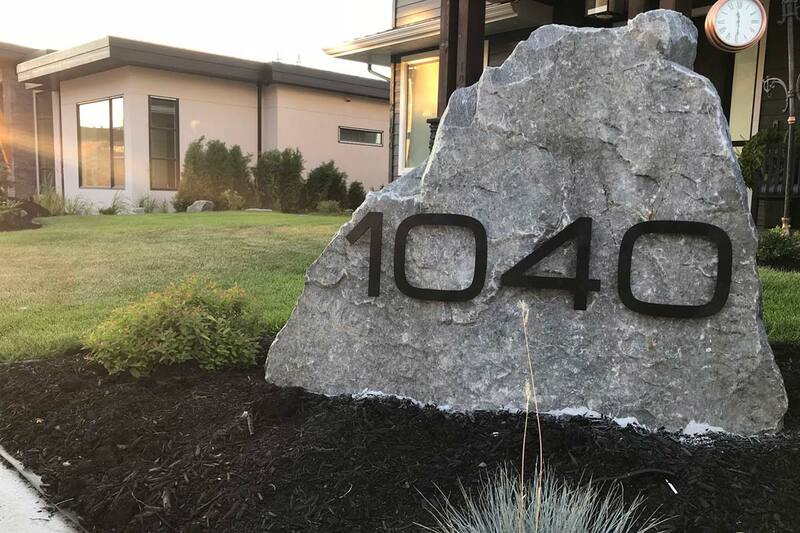 Custom House Numbers Made Easy! 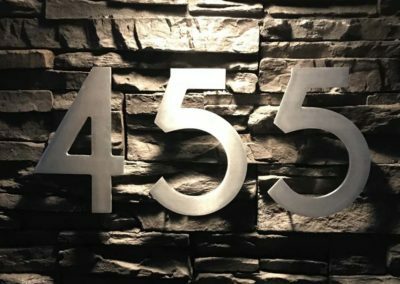 At Easy-Digits, we create unique and custom house numbers for Canada. 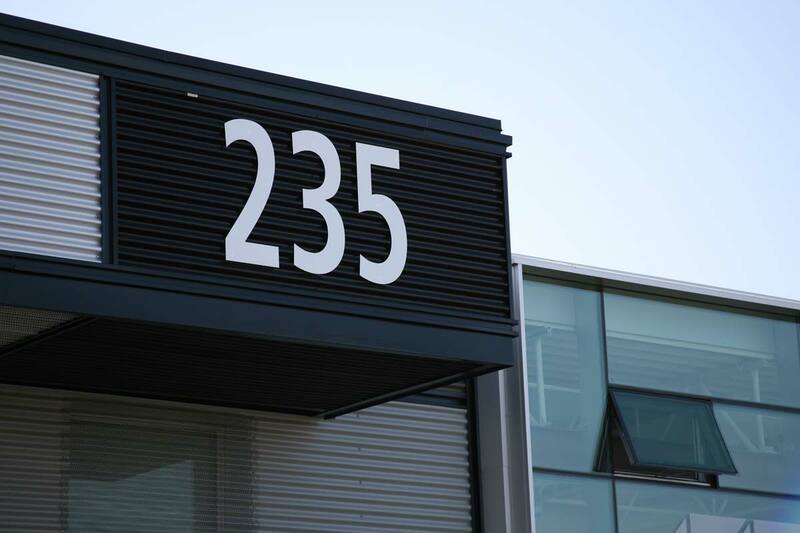 All of our address numbers and letters are made from your choice of Aluminum or Acrylic. Everything is cut, milled, and finished in-house at our shop in Saskatoon, Canada. Our font selection captures some of our most popular options, but we have the ability to do any font you choose. If your favourite font is not listed, contact us and we will design your address for you and send you a proof. Want to go custom? 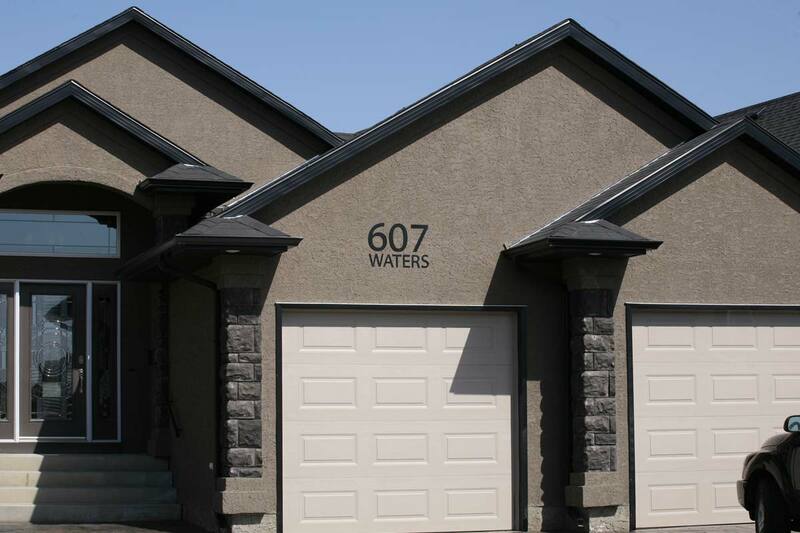 Maybe a script address, condo room numbering, or an address plaque is what you are wanting. 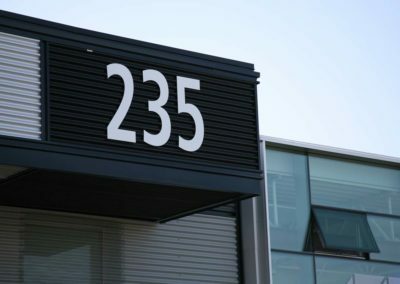 We can create an entirely custom address signs for your home, business or building. 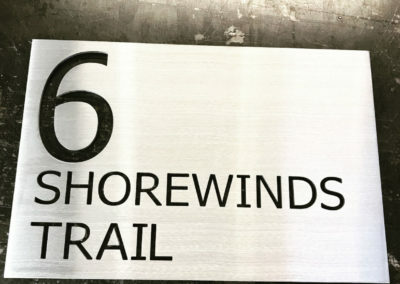 See our Custom Signs page for recent home address and business address jobs we have done. You can contact us directly with your needs for a quote. If you are a home builder, contractor, or designer, contact us below and we will work with you and your budget on any commercial or residential project. 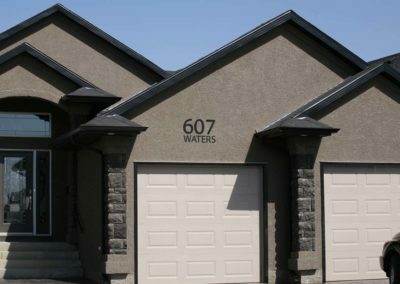 After searching many sites for custom house numbers that were Canadian made, we found Easy Digits. 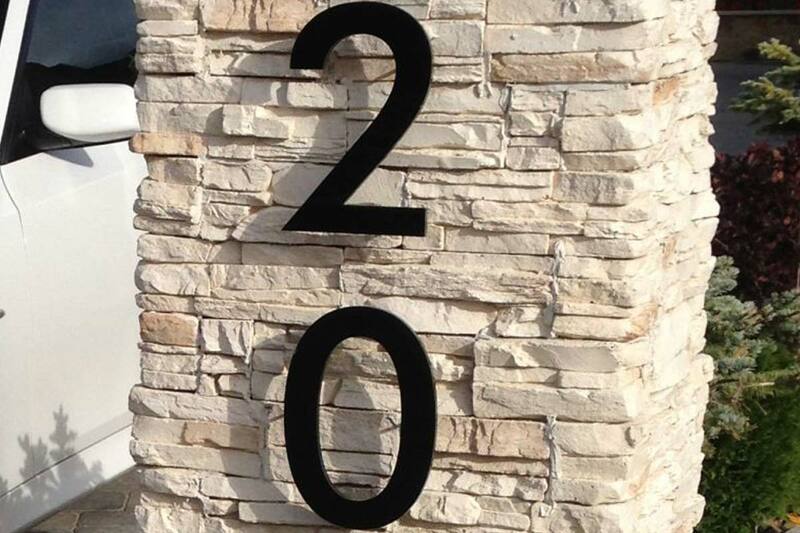 We ordered 10" aluminum numbers for our new house and they came promptly, exactly as expected. The template made it super easy to properly align the numbers before making the drill holes. 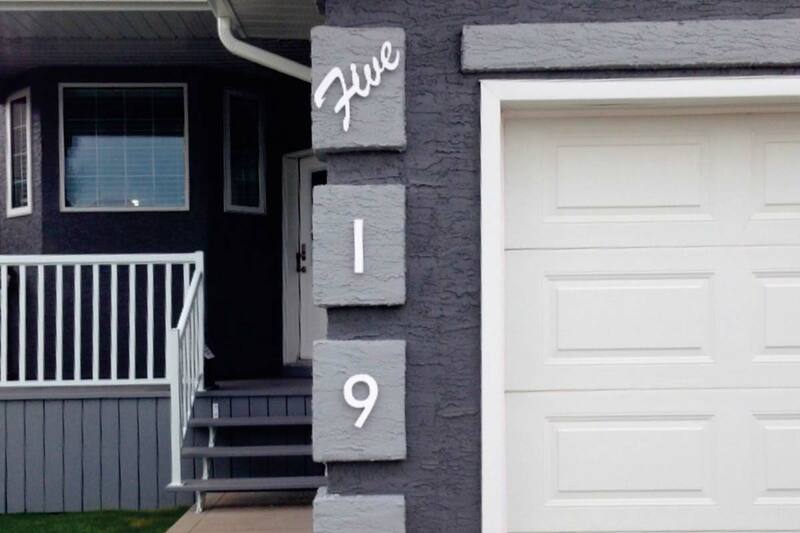 We already have relatives and neighbors commenting on our house numbers and we refer them all to Easy Digits! 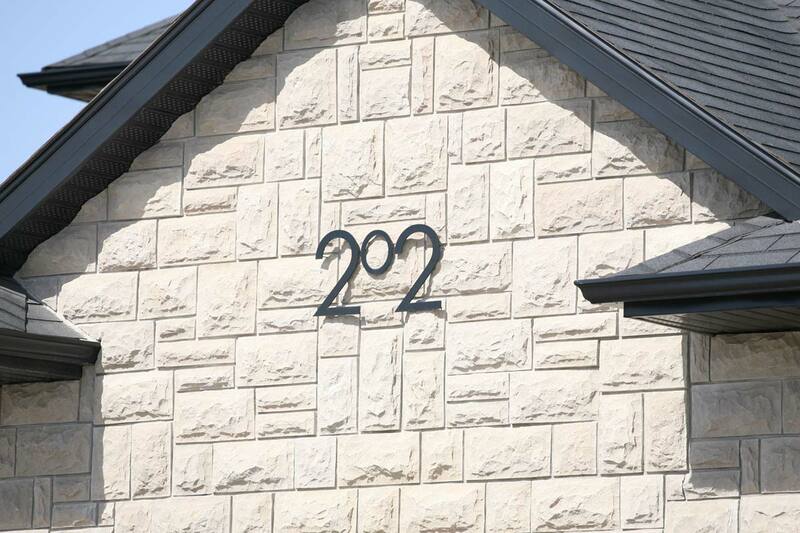 We are very happy with the quality and finished look of our house numbers. 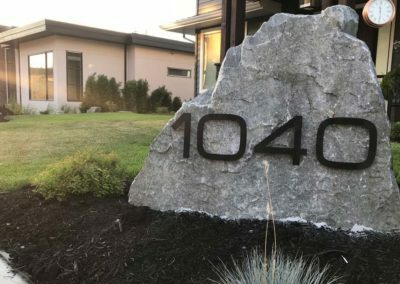 I am the president of a 104 townhouse complex in Richmond BC and we used Easy-Digits to replace our current house numbers. Service was bang on and when I needed a little help with extra information the response was fast. 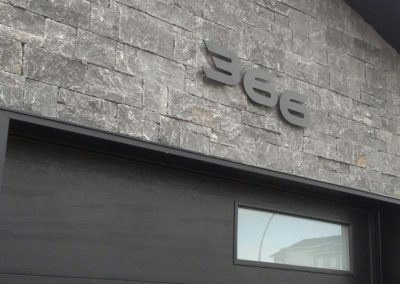 I had an idea for my house number that included my full street name. I sent Joel a sketch of what I thought would look nice and he handed me a finished product inside a week! Thanks easy-digits! Excellent experience dealing with Joe Zolinsky. 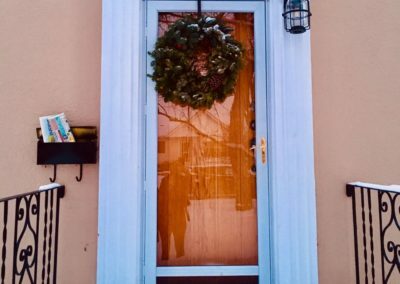 He proposed several arrangements including a custom arrow to suit mounting on the edge of a balcony, shipped the selected arrangement promptly, and everyone in the building was happy with the results. Highly recommended. I had about a million questions and they were all handled with patience and professionalism. I would highly recommend Easy-Digits to anyone. 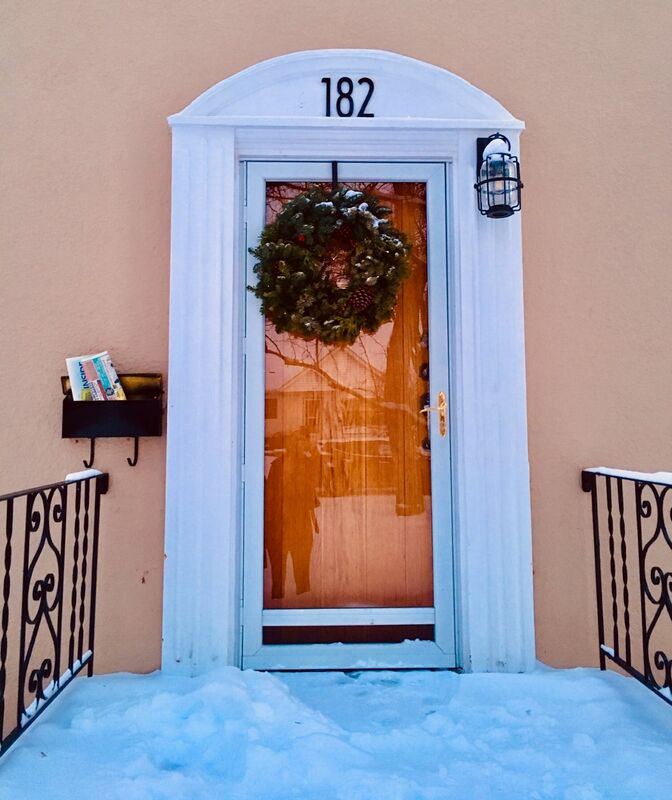 Our address numbers were very affordable and they look great. Exceptional service and a quick turn around time made the whole experience smooth and fun. Our custom metal house numbers and letters are router cut from 1/4″-thick 5052 aluminum. 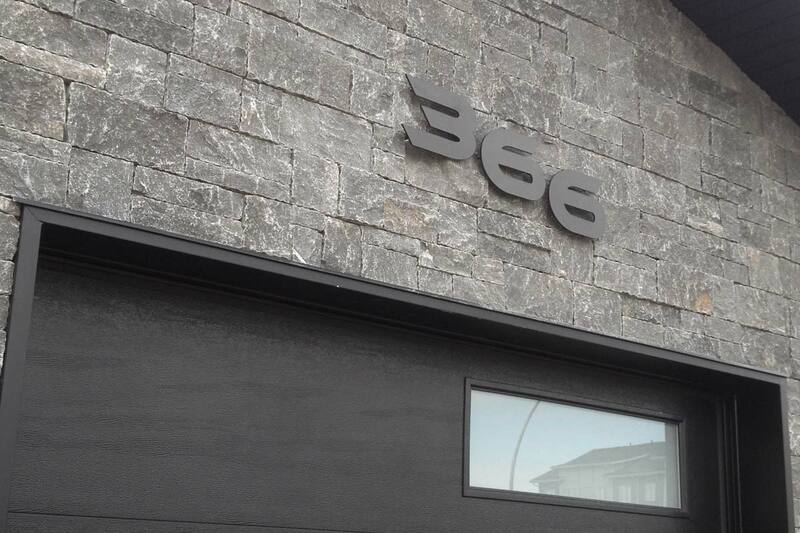 Aluminum offers the highest durability and will look great on all types of surfaces. 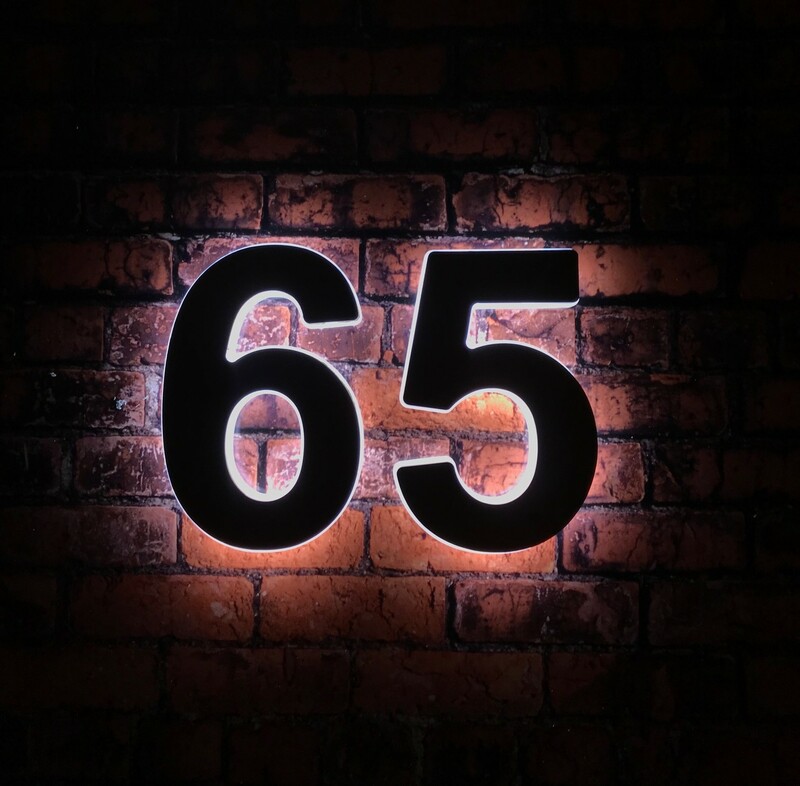 Our premium acrylic house numbers and letters are laser cut from 3/8″-thick acrylic. Acrylic offer high durability and UV protection, so the colours will never fade. 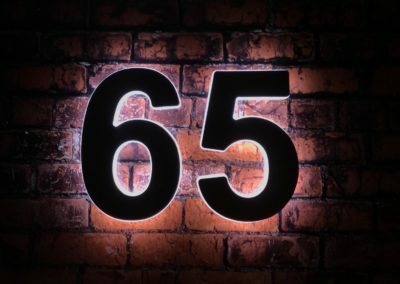 Want something different from the stand alone digits? 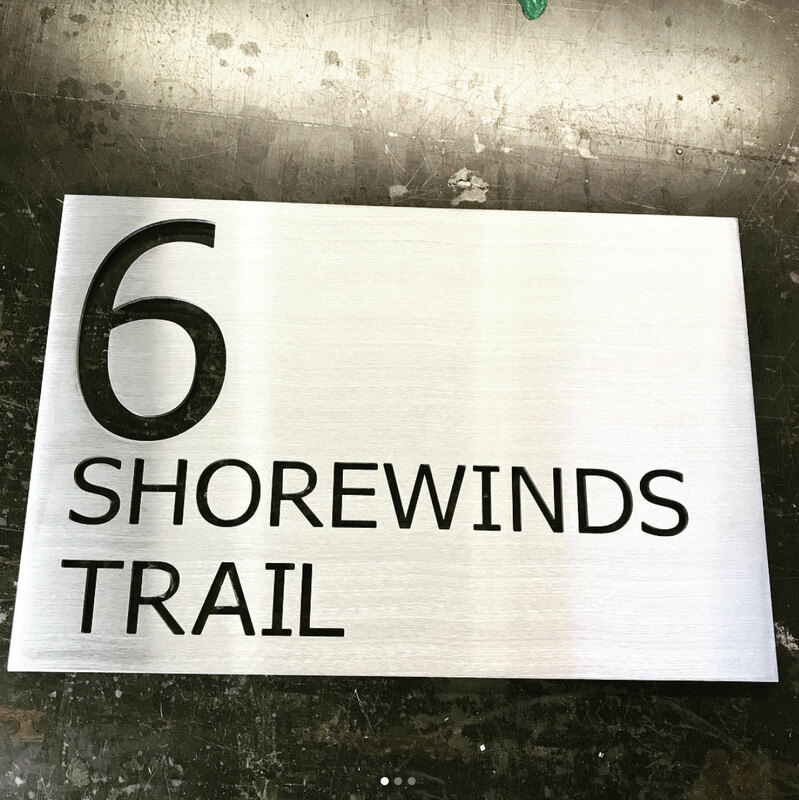 We are capable of making almost all types of signage. 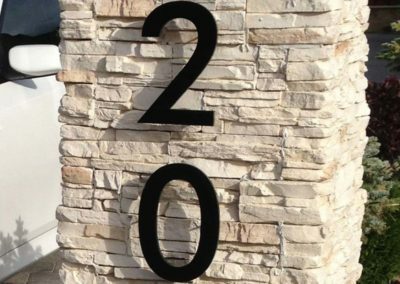 Anything from condo and apartment room numbering, to address plaques and back-lit illuminated numbers, we can help with it all. Let us know what you have in mind! 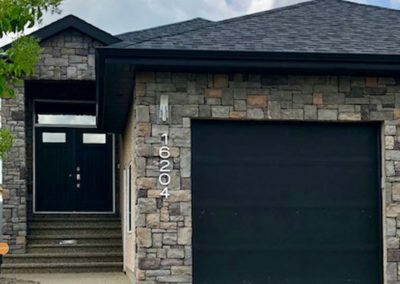 Easy-Digits is located in Saskatoon, Canada. 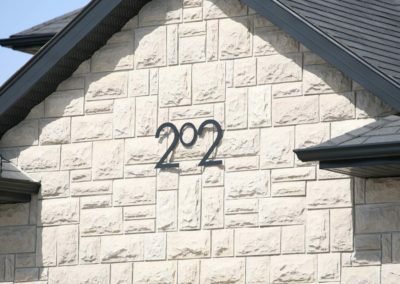 All of our house numbers and signs are custom made to every order, and we manufacture everything in-house. We source all of our materials from Canadian suppliers. If you have any questions or concerns about our product, please fill out the Contact Form, and we will get back to you within 48 hours.